Francis Ford Coppola Winery, in collaboration with Coppola’s acclaimed literary magazine, Zoetrope: All-Story, announces the launch of a new short film competition and a call for submissions. 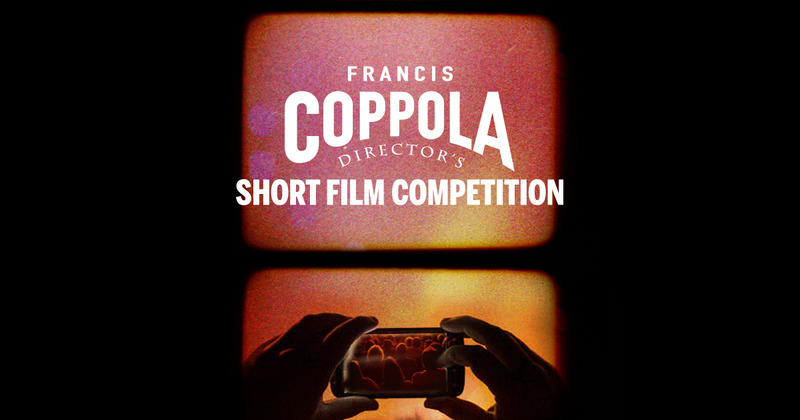 The Francis Coppola Director’s Short Film Competition is fulfilling The Family Coppola brand promise to bring creativity and art into our everyday lives. From the short films submitted, competition judge Roman Coppola will select five short films for viewing at a private event during the 2018 Sundance Film Festival in Park City, Utah, with a grand prize of $5,000 awarded to one final winner from among the top five. The competition and winners are spearheaded by the Coppola team, and are not affiliated with the official selection or program of the Sundance Film Festival. The competition will run through September 5, 2017. Aspiring creative visionaries are invited to submit an original short film 3-10 minutes in length. These short films may be shot with any handheld device, making this competition easy, convenient and accessible. There is no fee for entry. All entries are submitted through CoppolaShorts.com, an extension of Coppola’s Zoetrope.com website, the premier virtual studio and collaborative community for writers and other artists. After more than a decade of administering Zoetrope.com’s screenplay and fiction contests, the expert Zoetrope: All-Story team will facilitate the short film competition, with Roman Coppola selecting the finalists and the winner. The competition is an extension of the winery’s concentrated effort to more seamlessly complement The Family Coppola’s critically acclaimed wine business with its award-winning film business. In January of 2017, the winery partnered with Sundance Institute during the Sundance Film Festival, and the Director’s brand of wines was showcased throughout the Festival. The signature Director’s wines pay homage to the history of California filmmaking and winemaking, two great art forms that require artistic vision and top-notch raw materials – whether it’s the land or the script. For 2018, the short film competition will be an anchor activation for the winery at the Sundance Film Festival, along with various other wine and film opportunities.